which are happily blooming and contemplating my additions and changes for the garden. The Lizard Hotel is filling up! How many more do you think can take up residence here? 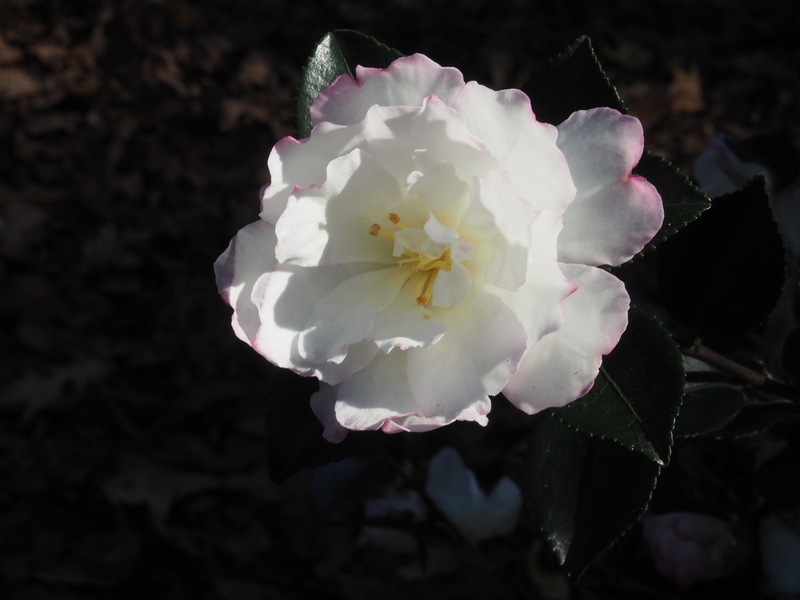 This entry was posted in Uncategorized and tagged Camellia 'Leslie Ann', garden plans, new year. Bookmark the permalink. Happy break! I love camellias and will be eager to see how yours are doing…from these pictures they appear to be wonderful. So far, so good. Tomorrow evening the temperatures are reportedly dipping below freezing – I wonder how they will respond to that! 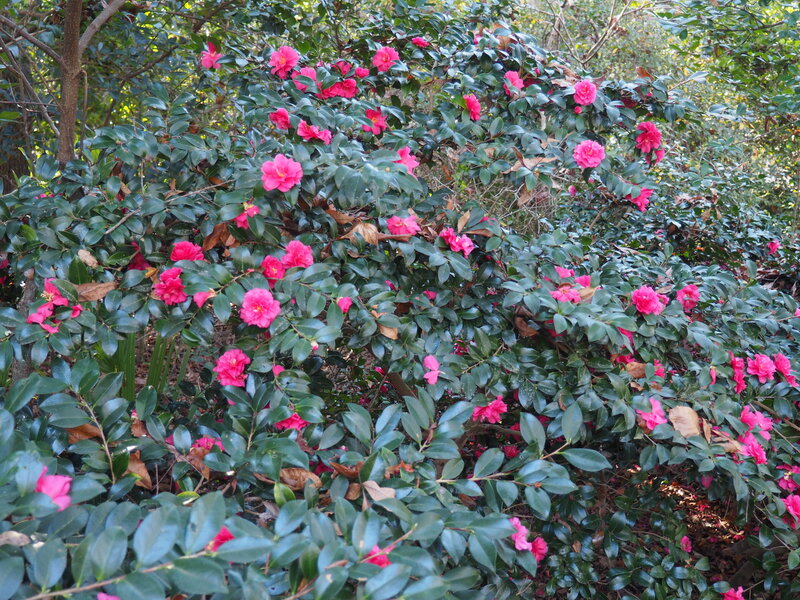 My Dear Mom fell in love with Camellias down there…she had them everywhere. She planted two glorious ones right by her their front door! So happy that they bring you joy…and brought back a forget ten and nice memory for me! I see why she loved them so! I should ride my bike by their old home to see if the camlias are still there and in bloom!!! Thank you for taking the time to visit my place of FrenchNess! Love your garden beds and looking forward to what’s in your plans for the new year! 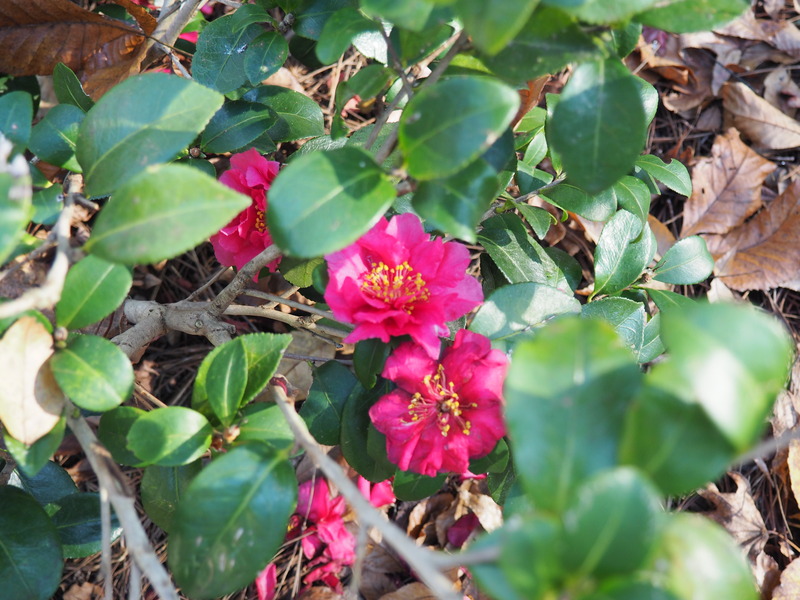 Enjoy your break and thanks for the camellia pictures. We’re running through an arctic blast here and the color and freshness of the flowers is a nice reminder that spring will return someday. I think the camellias like this climate! I especially love the long bloom time! Thank you for stopping by Anita. I too have a writing “assignment” and so I am taking a break to see how it goes. I know from past experience that after a break from the blog, I come back with enthusiasm. Hello Jayne, our inherited camellias are covered in numerous fat buds that will open in the spring, so a little way off yet, but the display is beautiful. I’m looking forward to giving them a whole lot of tlc this year with soil, feeding and pruning to get them into shape and an even better display for subsequent years. They seem to require very little to behave well, so imagine what your extra TLC will bring forth. I’ll look forward to seeing photos perhaps! Hi Jayne. 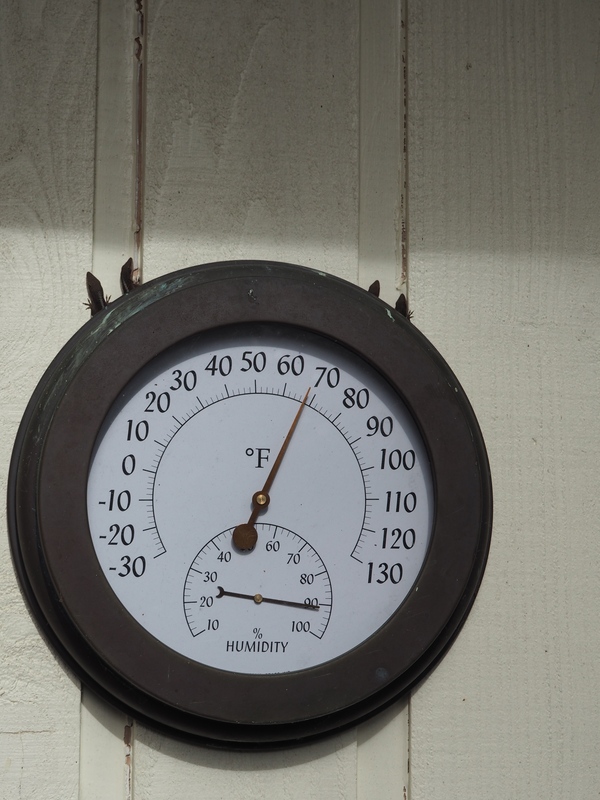 The longer days is another reason why I like to go somewhere further south for the holidays. Your ‘Leslie Ann’ is quite pretty.